Implementation will be completed in 3 sequential phases. 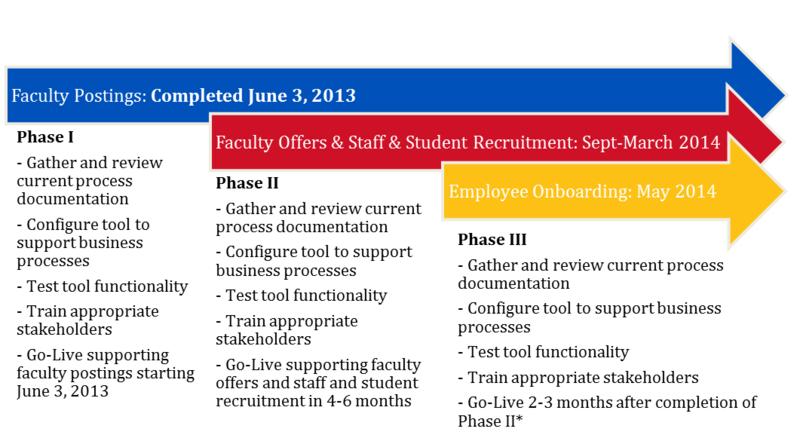 Phase I was completed on schedule when the site for faculty postings went live on June 3, 2013. The scope and design requirements for Phases II and III are currently being finalized; timelines will be updated as these considerations are solidified.